Hey! 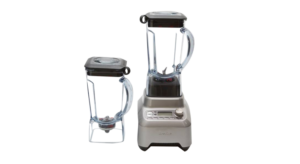 If you’re tired of searching for the best in class cutting edge blender, then stop and relax. You came to the correct spot. The Breville Boss Blender is the best alternative of high-end Vitamix & Ninja blenders. It has a great motor power of 1500 watts/ 2 HP. Also has 5 one-touch auto function for blending with different Smoothie function. Breville Boss is the only blender on the market having 2 separate smoothie option. So, it’s a great news for the fitness freaks who want the best kind of smoothie without hating fruits & veggies. Well… If you think making smoothies in the early morning is a tiring task, then you should be picking this thing for sure. It has high power base motor with 5 auto functions for easy control. It is louder than other blenders. BPA free Triton bowl system with High-velocity ProKinetix blade. The Power base is not dishwasher free, only jug and lid are. It can also make Hot soup. It has only 1 jug. It has a dedicated cleaning function which is new and different. It might get overpowered sometimes. It has a 7 years limited manufacturer’s warranty. It does not have any portable containers or extra blade & lids like many other. The Breville Boss Blender is a 1500 watts heavy duty blender which has the capacity working beyond other blenders. 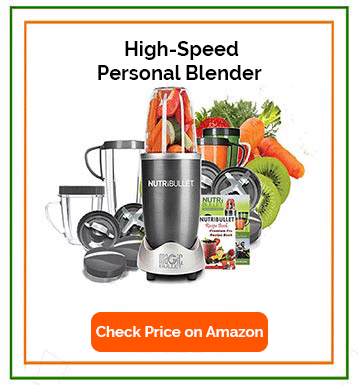 By using Breville Boss Blender, it’s very easy to make smoothies from fruits & vegetables. It can also grind nuts and almonds. The amazing 2 HP motor will make your blending experience to the next level. It expands the blending opportunities by making interesting & mind-blowing recipes for everyday life. These intelligent functions will make your blending experience more easy and enjoyable. 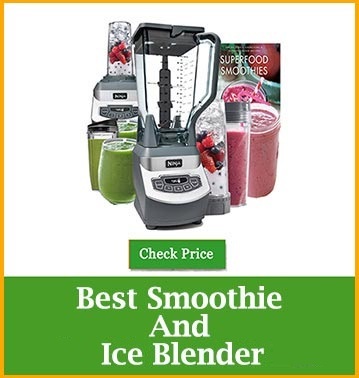 It is the only blender which as 2 different functions for making smoothies. These will do the perfect work for your drinks & smoothies. You will be in love with vegs after having the first sip of your smoothie made by The Breville Boss Blender. It will bring positive change in your diet plans and help you with your dream fitness. Most of the users of blender face extreme difficulty in washing it. Because it contains a risk of getting injured by the sharp blades. Also for this, users can’t clean it in the proper way. Keeping this in mind, The Breville Boss Blender is cleaning friendly designed. It’s the only blender that has an individual program which will clean up the jar & blades. Just put some water and a bit of dishwasher soup and press the Auto Clean button. It will clean the jar & blades and don’t have to do work for it. If you want your fruits, vegetables or anything blended in your own way, you can also set it in manual settings. Other blenders which have auto functions will only do everything only on its own. But with The Breville Boss Blender, you can do all your blending and grinding work in your own desired ways. Everyone wants their own ways on everything, though. It’s best for making smoothies, puree, grinding etc. Controls are very useful and easy to use. Can control its speed and power using manual settings. The Manual speed selector has 12 speeds for stirring to mining settings. It has an 18’’ tall large 68 oz. (2 liters) Triton Plastic jar which is completely BPA free. The Jug of this blender is scratch free, stain resistant which breaks much better than a glass jug. You also can measure the given items in it by looking at the measurement bar on the jar. This blender has advanced ProKinetix Blade System. it’s made of 3 powerful stainless steel blades for maximum cutting and blending experience. It has an option for making soup with a press of a button. This Super Blender is NSF certified. The Breville Boss Blender is also an Ice crushing blender with Pulse Ice crush function. It has an auto clean function which cleans the jug & blade with a touch of a button within 2 mins. For its powerful 1500 watts motor, it makes a great noise. Sometimes it does not heat the soup heat us the soup. It has only 1 Jug and 1 blade. It does not have any portable containers. Comparing to other blenders, it is a bit large in size. It’s also a bit pricey but has greater functions than others. The Breville Boss Super Blender is a new dimensional multi-purpose blender with many features. Each function is been designed keeping the user’s desire in mind. The super powerful 2 HP motor blends and smooths the best result out of it as you expect. It has lots of Auto function along with manual setting which is very user-friendly. The Breville Boss Blender not only blends for you; it grinds, cuts, smooths fruits and vegetables so precise that you don’t need to worry. With a press of a button, you can do all your blending work without any guessing and worries. Despite everything, we got some news about the noise and heating up. The powerful motor makes noise because it generates high power for best blending performance. And it’s not the only blender which makes noise. If you compare it with other popular brands like Oster & Ninja blenders, you can also relate this with those blenders too. The Breville Boss Blender will work as your healthcare companion. By making the best smoothies which will keep you fit and healthy. It has two different smoothie functions. For regular smoothies, you can use the normal smoothie function. And for green fruits and vegetable (for the best results), you can use the Green Smoothie function. With Breville Boss Blender, your health is in safe hands, I mean blender. Finally, if you’re in confusion and can’t decide which blender to take comparing with same spec blenders, then I frankly suggest you go for The Breville Boss Blender. You don’t have to worry anything more.